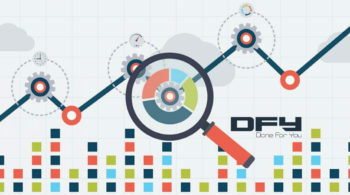 At DoneForYou.com, we often get asked by our clients about targeted website traffic. As you may know, since you’re reading our blog, we provide done-for-you sales and marketing services. We help businesses acquire more leads, more traffic and sell more to new and existing clients by leveraging technology and marketing, and by building automated online systems. In most cases, when we work with a client to build their sales funnel, we also work on figuring out the best new traffic sources to feed targeted visitors into their funnel. These are all valid questions given that every business wants more leads and clients; unfortunately, there’s a veil that covers traffic generation tools, sources and strategies. That is why we’ve put together this traffic generation Q&A article, to lift the veil on traffic, debunk some common myths about targeted traffic sources and hence save you some money you might waste in buying fake traffic due to a lack of proper information. Therefore, in this article which is all about free and paid targeted traffic, we are going to answer all of your traffic generation FAQ and more… Found anything that’s missing? Shoot us a quick message on Facebook and we’ll update this Q&A article automagically! To begin with, let’s briefly discuss why targeted website traffic is important to a revenue-generating sales funnel. The purpose of having a funnel in place is to attract more leads, nurture them into qualified prospects and finally convert them into paying customers. So, having targeted traffic, instead of generic visitors, coming into your funnel is a resource saver. Not only will you spend less time and money to attract targeted visitors, but you will also have higher conversion rates; basically you’ll have more sales in a shorter period of time. But wait… What exactly is traffic? Put simply, web traffic is the internet users who visit your website. The higher the traffic volume, the more visitors your site gets. Accordingly, when you want to generate traffic, what you want to do is attract more visitors to your website. From a bird’s eye view, there are two basic types of traffic: Paid and free. discovering your brand on other websites or on social media. 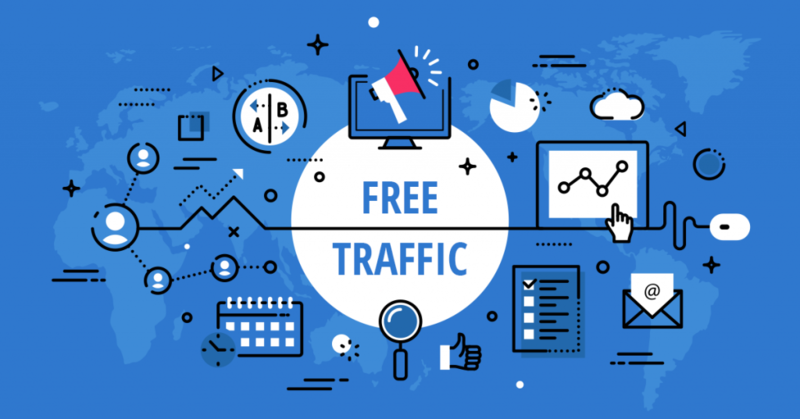 Free traffic is often called organic traffic, and sometimes you can see it referred to as search traffic or viral traffic. …with the goal to drive traffic to your site. You might hear this type of traffic referred to as PPC or SEM, among other terms. This is indeed one of the most popular questions. Free organic traffic is arguably the best web traffic source for targeted leads. However, to get to the point where new visitors flow consistently into your funnel, you need you have your web content appear in SERPs. But is this kind of traffic really free? Although you cannot literally buy organic visitors, you need to spend money on content creation, with the intention to rank on Google, and eventually attract free targeted website traffic. The myth lies in the idea that organic traffic has zero costs. This is simply not true. You do need to pay for content creation. But what if you could create and publish content yourself? Wouldn’t that bring in free traffic? Well, yes, that’s one way to look at it. Another way is that your time also costs money. So, again traffic is not free because there is an opportunity cost involved. So, why do people call organic traffic “free traffic?” That is because they do the work ahead of time to reap lasting results in the long run. Similarly, when it comes to free viral traffic, meaning traffic from content that becomes popular on social media, you probably need to hire someone to create engaging content which will have a chance to go viral. At the end of the day, creating good content might require an upfront investment; however, it paves the path for generating perpetual free targeted web traffic in the future. This point takes us to the question “Why it is a wise decision to buy web traffic?” Purchasing ad views or clicks is the best way to generate unlimited traffic fast. Buying clicks is actually the fastest way to bring new visitors to your website. While Search Engine Optimization (SEO) takes time to bear fruit, Pay Per Click (PPC) will give an immediate boost to page views. Our advice? Paid traffic is definitely the way to go if you have the budget. If you want to scale website traffic fast, read this helpful guide to learn advanced strategies to help you scale your business with Facebook Ads. Before we dive further into answering more traffic FAQs, let us briefly debunk another myth. You might have come across sites that sell traffic or clicks, presumably from real human users on the internet. When you see advertisements such as these you need to be cautious. Then, there are online services which promise to send you real clicks, but what happens is that they use bots to emulate human behavior online. So, these bots, computer programs in essence, click on your links and browse your sites as if they were human. That is why bots like that might appear in Google Analytics as real users, usually with a high bounce rate. Unfortunately, traffic scammers have gotten better in the recent years, and are now able to deliver fake traffic with low bounce rate and seemingly real data, like source of traffic, country, type of browsing device and operating system, and more. What you need to remember is that any service provider who is not able to explain exactly how they generate low-cost traffic is in all likelihood a con artist. In brief, you should avoid spending your money on these types of services, because, even if the users are real, they’re not interested in what you have to offer. They’re probably clicking on your links only to get some benefit as part of a safelist, and they won’t pay attention to your offer. Now that we’ve cleared up the myth of “cheap clicks,” you are probably wondering where is a good place to buy website traffic? There are different options. 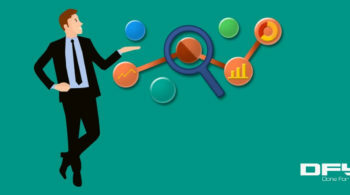 Let’s look at the best places to buy targeted traffic that converts. Well, what can we say about Google? The search engine giant also dominates advertising. A recent report estimates that Google and Facebook account for 73% of all digital advertising in the United States. When you’re setting up an ad on Google AdWords, you’re either buying search traffic or display traffic. Simply put, if you’re advertising for search, your ad will appear on SERPs, when people search for your keywords. 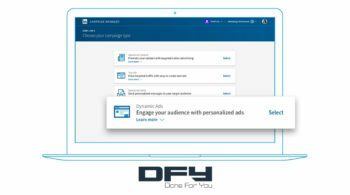 Display ads on the other hand are mainly for displaying banners on third-party sites, and also for retargeting website visitors – meaning you’ll have your ad shown to people who have already visited your site at least once. 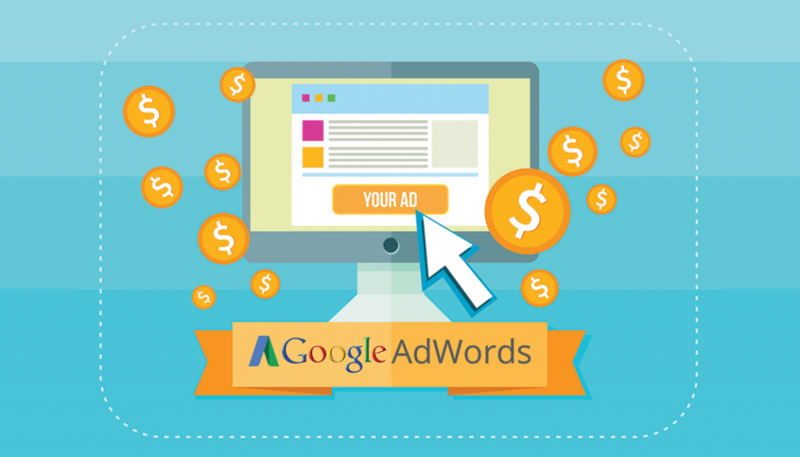 What you need to keep in mind is that Google AdWords is one of the best ways to drive targeted traffic to your site. Why? Because people who type in a search query are simultaneously expressing an interest in your keywords, as well as intent, before they finally click on your ads. Now, with social advertising, which is advertising on Facebook, LinkedIn, Twitter, and other networks, you also get targeted traffic, although it’s not search-based traffic. Who sees your ads on social media has to do with their demographics, profile and declared interests. For example, you can target men, aged 20-35, who have liked car-related business pages on Facebook. Or, you can target women, who are engaged and their zodiac sign is Gemini. “So, Google doesn’t have this kind of data?” you might ask. Of course it does. 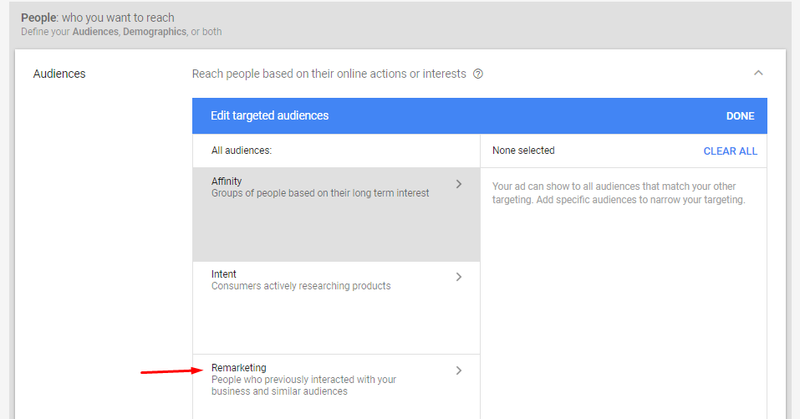 With demographic targeting in AdWords, you can reach a specific subset of potential customers who are likely to be within a particular age range, gender, parental status, or household income. How does Google determine demographic information? Apparently most people have a Google account, so Google knows more about their demographics and behavior than you would expect. The difference here, compared to Facebook targeting, is that you use demographics to narrow down your target audience. As an example, while the trigger is a search query, you are able to filter out men from seeing your pregnancy yoga advertisement. Another major difference is that social advertising is still relatively cheap when compared to Google Adwords. Advertising on Facebook is a good alternative source of targeted traffic, if you’re on a small marketing budget. Looking for alternative sources of affordable traffic? There are content promotion networks, like Outbrain and Taboola, which can help your business attract a targeted audience. How content promotion networks (or content discovery platforms) work is by displaying your ad on blogs and other sites with related content, usually below a blog post. In this way, services like Taboola enable advertisers to attract engaged audiences while, on the flip side, these networks give the ability to publishers to monetize their online properties. …solo ads are arguably the best way to go. With solo ads, you are able to do email marketing using other people’s lists. 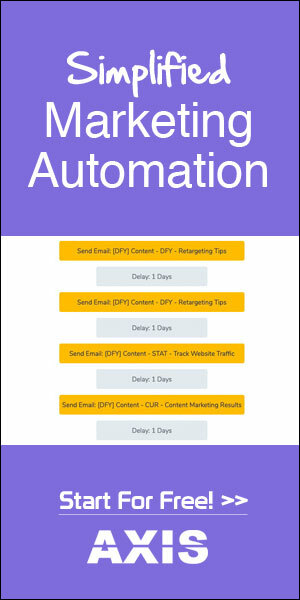 How it works is that you have a solo ad provider email their subscribers with your email copy, and you pay them by the number of link clicks you receive from that particular email blast. Solo ads can be an affordable way to draw targeted visitors to your offer but, be warned that not all solo ad services are legit. Again, there are fraudulent services that use bots to deliver fake clicks. How do you go about finding high-quality solo ad sellers? The simple answer is real-buyer reviews. Visit sites like udimi.com, a marketplace for solo ads. There, you can see reviews from previous buyers under each seller’s listing. We will give more ideas on how to find quality solo ads further down this article. Which is the best place to buy targeted traffic? Now that we’ve explained the main sources of targeted web traffic, it only makes sense to talk about how you can choose the best traffic source. Well, to start with, the best way to go about generating traffic is to try out and test different sources. It’s a good practice to distribute your budget across different advertising media, so you can find out which one delivers the best results to your business with regard to conversion rate and sales revenue. However, we understand that it’s not always possible to try out different sources of traffic. In this case, if you’re looking for the best place to buy website traffic, we must say that there’s no one single answer. It heavily depends on your industry, goals, budget and several other factors. If we absolutely had to put together a list of the top places to buy the best targeted traffic, we would definitely rank Facebook Ads and Google AdWords on the top 2 places on that list, though not in a particular order. The best way to go about it is to schedule a free strategy call with us to help you gfind clarity on your paid advertising options. As soon as we know more about your niche, product and budget, we’ll be able to capitalize on our multifaceted experience and determine what traffic source would work best for your business. How do I go about buying targeted traffic that converts? Targeted traffic doesn’t always convert well. For example, people that are subscribed to solo ad lists might suffer from email promotion fatigue (meaning they are always bombarded with offers via email, and are likely not opening certain kind of emails anymore). So, in some cases, even if those subscribers click your solo ad link and land on your page, they won’t convert. They’ve seen so many similar offers, and even bought some of them, that they’re overwhelmed or disappointed from not seeing the results they were promised. Where can you find the best targeted high-converting traffic? Again the answer lies in the two leading paid traffic sources, namely Facebook and Google. Other PPC sources, like Bing Ads and Yahoo Gemini, can also bring you quality traffic – just note that these networks have a smaller audience reach compared to Google AdWords. According to recent stats, Google controls nearly 75% of the search market, while Bing and Yahoo are somewhere between 5% and 10% each. That is a reason why the advertising cost per click is usually cheaper on Bing and Yahoo compared to Google. Another factor you need to consider when looking to buy the best targeted traffic that converts is where your audience find themselves in the buyer’s journey continuum. When you drive cold traffic to your offer, meaning visitors that have never seen anything about your brand before, it’s harder to drive conversions compared to displaying your offer to a warm audience. A warm audience is one that has come across your company marketing material before, and it’s even warmer if they have interacted with your brand in the past. So, a mistake you might make when looking to attract the best targeted traffic is to expect a high conversion rate even though these people have never heard of your brand before. What you can do instead, if you want to see better conversion rates, is to deploy a sales funnel (also called marketing funnel) that will help to convert cold traffic into warm leads, and advance people from the awareness stage to the evaluation and purchase stages. What is the best web traffic source for targeted leads? If your goal is not sales but leads, i.e. people interested in your offer who will subscribe to your mailing list, then cold traffic can convert really well, given that your landing page is carefully designed. For example, our templates that you can find inside your Scriptly account have proven to convert at a rate of 42% to 54% depending on the niche, which is exceptionally good performance. To sum it up, reaching a conclusion as to what is the best traffic source for targeted leads is quite difficult, because again it depends on your niche, budget and product. To reiterate what we’ve said before, if we are forced to pick the top finalists for generating paid leads it would be either Facebook Ads or Google AdWords. I’m only shipping to the States. How can I advertise on a USA traffic website? If you want to restrict paid traffic to USA traffic only, it is certainly possible. In the case of USA traffic, there is the option to restrict the origin of clicks to your ads, whether you’re buying solo ads, search traffic, display ads or social network ads. Ln other words, all platforms and advertising networks provide the ability to choose where you want your web visitors to be located. Traffic from “rich” English-speaking countries might also be referred to as “Tier 1 traffic,” indicating the tendency to consider USA, UK, Australia and New Zealand traffic of higher quality because, as most marketers would agree, people from Tier 1 countries spend more money online on average. What are the best websites to buy quality traffic? Again, the best way we can offer personalized help is to discuss your particular needs over a free strategy call which will give you clarity about the best advertising strategy for your product. Now, sometimes the same question (“What are the best websites to buy quality traffic?”) comes from marketers who promote MLM or network marketing offers. Also, affiliate marketers might pose a similar question. In this case, websites as sources of traffic might refer to solo ad marketplaces. If this is your case, then udimi.com is a reputable place to buy quality traffic suited for MLM, network marketing, affiliate and business opportunity offers. A lot of affiliates, also visit Facebook groups where buyers post reviews of solo ad sellers. This way, you can see what others are saying about ad sellers, and you’ll be able to pick the ones who seem trustworthy. Is there a way to buy website traffic using a free trial? We recently received the above question and thought it was quite strange. Buy website traffic using a free trial? What could that mean? What the client meant was that he wanted to try different paid traffic methods before he actually took his credit card out of his pocket. He needed proof that the traffic system worked, before he started spending money. Free trials and promises of free premium traffic are often, as we explained earlier in this article, a hideout for scammers. There are con artists online trying to take advantage of legit business owners who want to drive quality traffic to their sites. What these scammers do is use traffic bots, i.e. automated programs that open your page and are misinterpreted by Google as real visitors, although they’re just a machine. So, be careful when you read claims like “free premium quality traffic,” unless it’s traffic that YOU generate from posting your own content on social media. Unfortunately, there are people who want to persuade you to believe that they’re sending real traffic to your site while all they’re doing is sending fake clicks. Again, social media posting and engaging with your audience is an effective way to get free traffic. When coming across other supposedly free traffic methods, please be cautious and ask for proof. It’s always better to invest your small budget in a traffic source that you can verify (Facebook, for example) than to waste your dollars on something seemingly inexpensive that in reality will cost you a lot more in money, time, website reputation, and sanity. If you’re marketing your business on a small budget, low price might be your top deciding factor. Facebook is, in our experience, the best way to go for inexpensive website traffic. How people understand the meaning of “inexpensive” is subjective. Different people mean different things with “cheap traffic.” Some affiliate marketers who run solo ads consider a $0.35 per click to be cheap. But what if you buy 1,000 clicks and you convert none of those into actual sales? What if the the leads you get are “dead,” meaning non-responsive to your emails? Here’s another post, in case you’re interested in learning more about handy metrics for paid advertising. This question comes from website owners who monetize their online properties using Google AdSense. You probably know that Google can be really harsh with publishers who don’t conform with AdSense policies. In fact, if Google detects fake traffic coming in to a website that is part of the AdSense network, they will immediately and irreversibly close that account. With that in mind, the best way to go about AdSense-safe traffic is to invest in good, search-engine-optimized content, which will slowly but steadily attract organic traffic. Our advice is to never buy website traffic with the sole purpose of getting ad clicks. You should look at ad clicks as a byproduct of quality traffic coming in. How do I boost traffic to my website? Now, whether you need to get a decent amount of ad clicks or a significant revenue increase, you must find ways to boost traffic to your website. We’ve written two solid articles on how to get more visitors to your site fast, and you can find them here and here. In those articles, you will find actionable advice on how to give an instant boost to your traffic, even if you have a newly-built website. Facebook doesn’t like affiliate marketers. Period. Why? Because a significant number of affiliate marketers have abused advertising channels in the past to drive traffic to offers that are deceiving, like push-button money-making methods and weight-loss programs with guaranteed results. Having said that, if your affiliate offer abides by the advertising guidelines then there’s no reason why you can’t use Facebook to drive traffic to your affiliate offers. Also, note that a lot of email marketing platforms will ban accounts for including affiliate links in their emails. AWeber is arguably the friendliest platform towards affiliate marketers, since it allows you to include direct links to affiliate offers in your email copy. So, how can you generate traffic for an affiliate offer without the risk of losing your email or ad account? Experienced marketers often create a written or video review of the software, course or product that they want to promote as affiliates. They also spice it up with valuable bonuses. Then, they use paid ads to drive traffic to that piece of content. Take Amy Porterfield as an example. Amy is completely open about being affiliated to Marie Forleo’s B-School, an exceptionally successful online program for people who want to build an internet business. During annual B-School launches, Amy publishes a lot of content in different forms and on various media to increase sign-up to B-School for a chance to get a significant commission. Here’s an example of such content. She’s even created a dedicated Facebook group to engage her audience further. Here’s another great example of how you can promote affiliate offers – and this example comes from our own posts. This post highlights the value of email marketing and the importance of choosing the best email marketing software. It provides an honest review and a comparison of different platforms, while it allows visitors to sign up for those services via our affiliate links. We hope these examples helped you get ideas on how you can promote affiliate products effectively. If you want to dive into more related content, here’s a post with 10 ideas for promoting a digital product and another one specifically for marketers who want to generate traffic for an affiliate offer. Finally, don’t miss this resource where we explain the complete affiliate marketing start-up strategy. How do I retarget USA visitors on my website? Some of our clients who have spent time educating themselves on traffic, often ask us about retargeting subsegments of web visitors. It is true that retargeting (or remarketing) is pure gold; it’s an essential element of conversion rate optimization (CRO). In other words, if you want to achieve the highest possible conversion rates from the same volume of traffic, you need to add retargeting to your marketing arsenal. Before explaining how you can retarget USA visitors on your website, here’s a complete guide to CRO with retargeting. Now, assuming part of your incoming traffic is from the US, you need a way to retarget those people to, say, promote a product that you ship to US addresses only. Or perhaps simply because you want warm Tier 1 traffic coming back to your site. To do that you can use either Facebook or Google paid advertising. Both services give you a piece of tracking code (Facebook calls it a “Pixel”) which you need to have set up on your website before running retargeting campaigns. When you have the code set up properly, the advertising platform drops a cookie in the user’s browser. After this happens, you are able to retarget them. With retargeting, you can also choose to narrow down the target audience to include only people from a specific country. 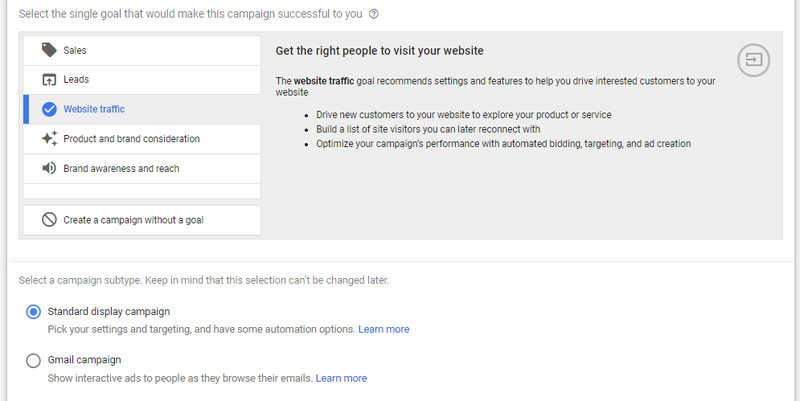 And at the bottom of the same page you must choose “remarketing”. That’s it. If you want to retarget USA visitors on your website using Facebook Ads, then what you need to do on an Ad Set level is to first choose a custom audience and then the location. 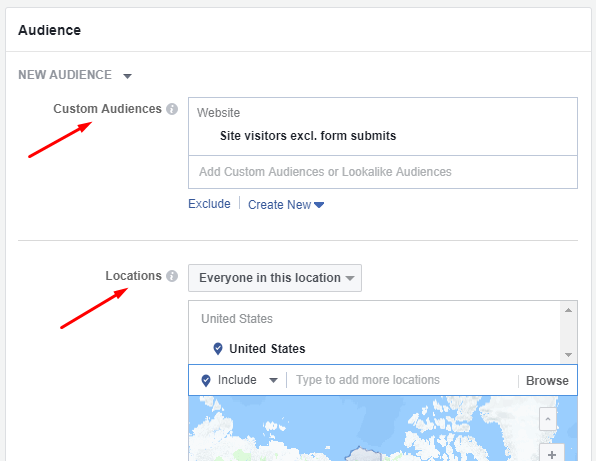 Your custom audience will be extracted from your Facebook Pixel, and then by choosing a location, you can narrow down your remarketing audience to include US residents only. So, that was it! A complete Q&A session about targeted website traffic! We hope we answered your most pressing questions about free and paid traffic, how to get quality traffic fast, and how to choose the best source of targeted traffic for your business. We also gave you some tools and resources for further reading, and the chance to book a free call with us to design your traffic generation strategy in a way that will bring measurable results. Don’t forget to join us for a free webinar where we’ll show you how to convert a cold audience into hyper-active customers! Have we missed something? Is there a traffic generation issue that we haven’t tackled? Send us your questions on Facebook and we will update this comprehensive Q&A article to address your traffic questions in a flash. 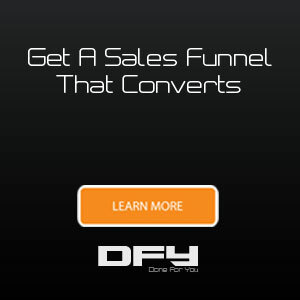 Looking for a complete done-for-you marketing and sales solution? Read more about how we can help.